While most states and federal law requires criminal defendants to be convicted by a unanimous jury of their peers, that's not the case in a couple state courts around the country. And that could soon change. It just so happens that one of those states, Louisiana, currently has a pending ballot measure that would change the law and require unanimous verdicts. But, the state is also now facing a High Court appeal over the law voters are being asked to change, and that challenge could change things for more than just Louisiana. Evangelisto Ramos was convicted of murder and sentenced to life without parole in the state of Louisiana by a non-unanimous jury. However, notably, the prosecution lacked direct evidence, or any eyewitness testimony, to link Ramos to the murder. Though there did seem to be strong circumstantial evidence, it wasn't enough for a unanimous jury verdict. On appeal, Ramos, in pro per, submitted a supplemental brief on the non-unanimous jury issue, and was shot down in summary fashion. The Louisiana Supreme Court refused to take the matter up, and so Ramos petitioned the High Court, which agreed to take it up. As the petition for certiorari explains, the Supreme Court decisions that support the laws allowing a state criminal jury to not be unanimous are as shaky as they come, and not entitled to stare decisis. In short, the prior decisions seem to explain that the Fourteenth Amendment didn't necessarily incorporate the Sixth Amendment, or all of it at least, to the states. And as SCOTUSblog pointed out so aptly, the High Court seems to be a bit incredulous as of late with the fact that incorporation of the Bill of Rights is still being litigated. 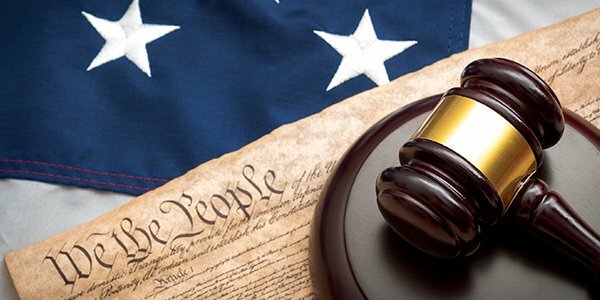 The petition further piles on the support for the notion that a unanimous jury verdict, especially in criminal matters, is a foundational principal of our common law and constitution. Citing nineteenth century cases to modern ones, the petition lays out a compelling case for the High Court to take up.